Love the cold selections – sandwiches, dislike the hot food category served cold –paranthas. However, choice of beverages is quite good. 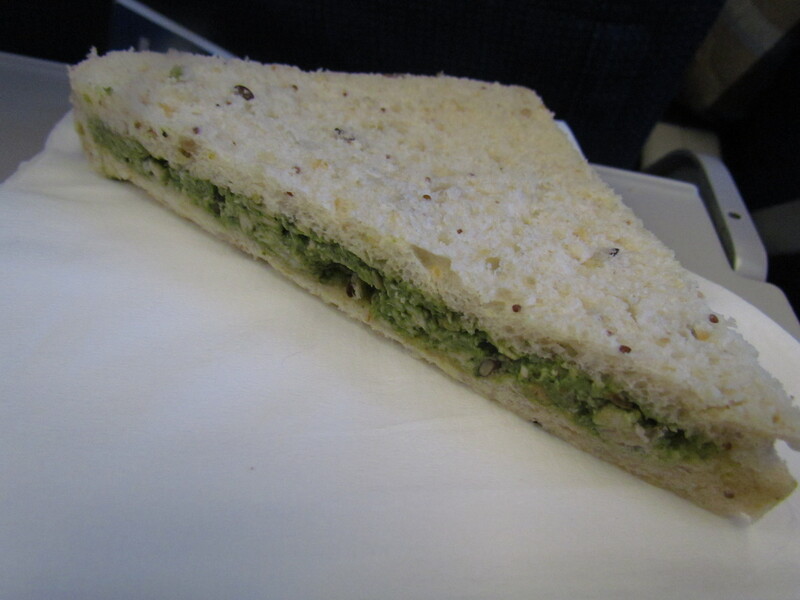 Inflight food is something that we were used to for long. Most of us have fond memories of good piping hot omlette breakfast / vegetarian breakfast during the early morning flights, tikkas & snacks during oddhours & curries for lunch & dinners. 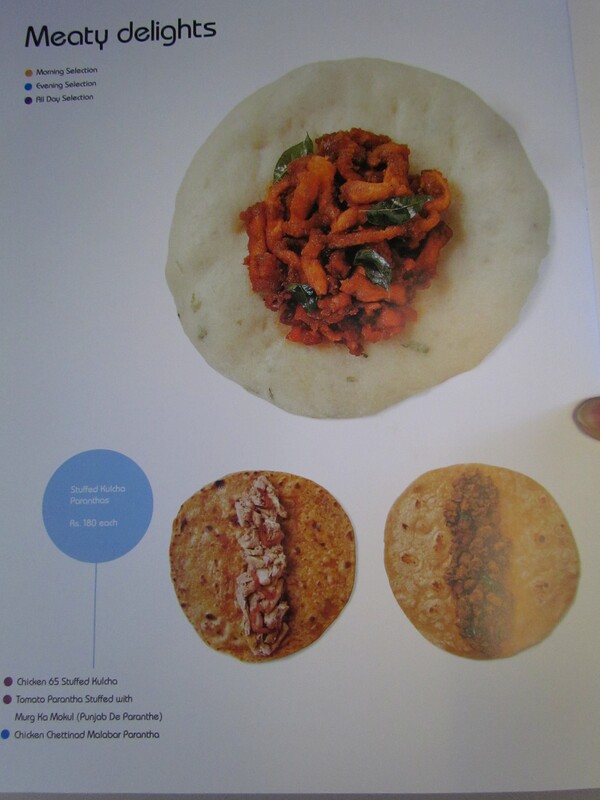 When I started flying Indigo years back, I felt really odd that I was supposed to buy food in the flight!!! Slowly got used to it & I guess after years of flying around, its now become a habit. Indigo does not serve anything hot – be it food or beverages like tea / coffee. So always I preferred to have food that is meant to be eaten cold – although have tried the paranthas out of curiosity & have been terribly disappointed. 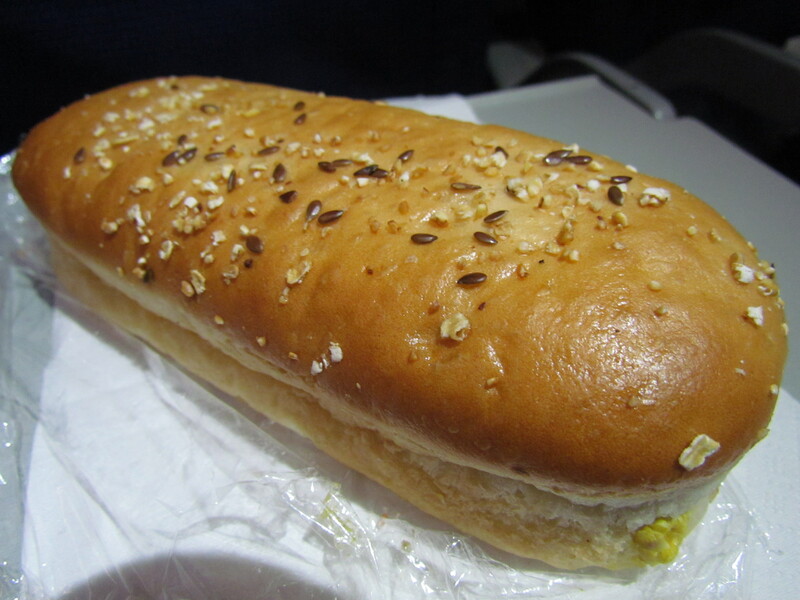 Long back Indigo used to have a sandwich with pepper chicken filling – loved it. 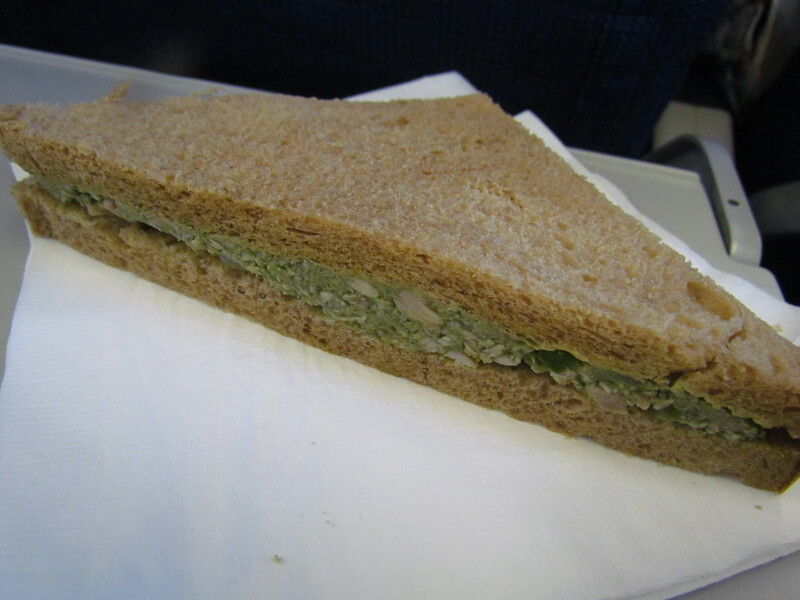 Till some time back Trio was my favourite – A pack of 3 sandwiches of three different fillings. The packaging is wow – U can spend a few minutes reading them & enjoying it. The print on the box looks like a cartoon of an aeroplane with windows on it. 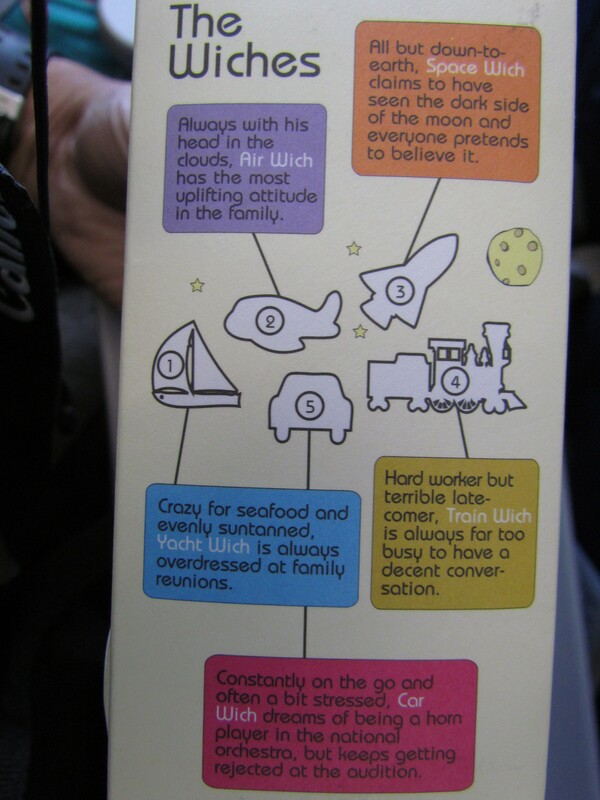 read this very funny stuff written on the boxes – I love the carwich one. This time flew Indigo I found several new items on the menu. One was Anda tak a tak. In a country with a very high vegetarian population & some who eat eggs, this is a smart move. Unlike western egg sandwiches that are mayo based, Anda taka tak is a sandwich with super soft bread & egg filling inside – Indian style with masala & all. Tastes good. Next we tried was Lemon chicken. 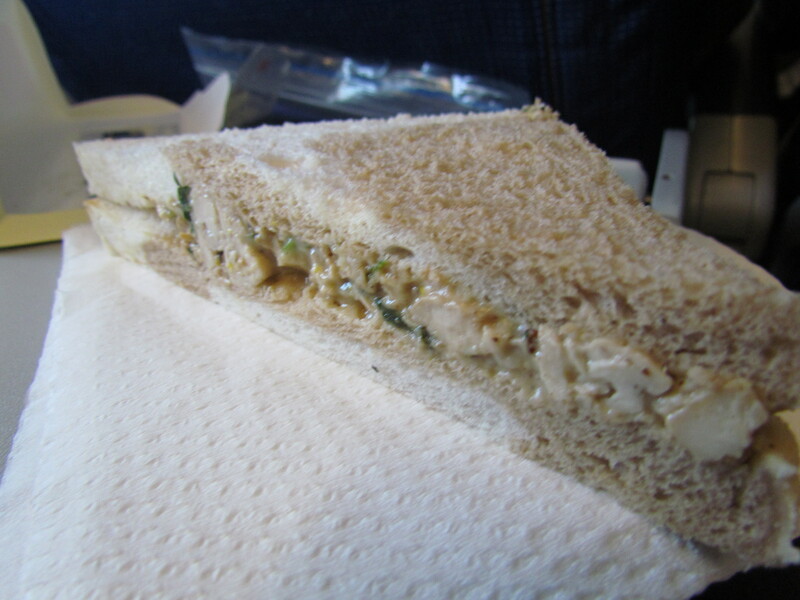 This is my most favorite amongst all the sanwiches that r served aboard at present. 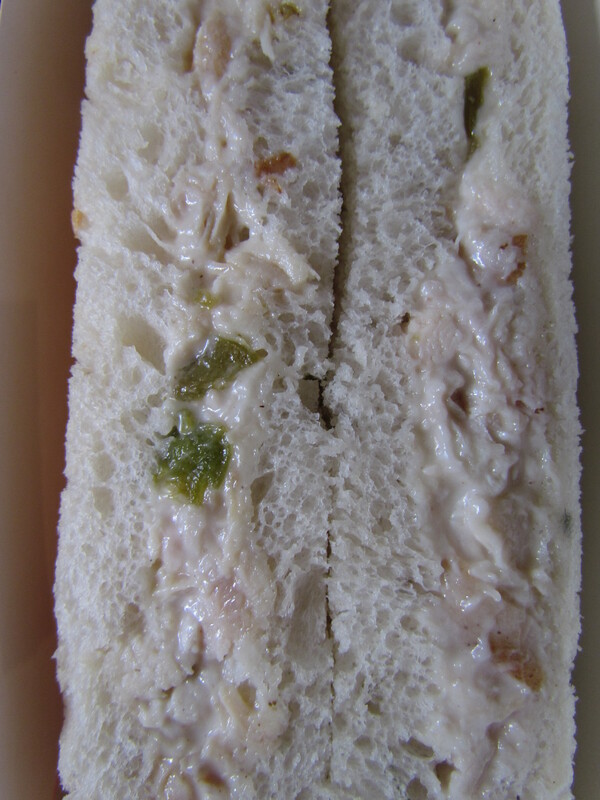 This is a western style sandwich again with super soft bread, rich, creamy lemon chicken filling, with chunks of chicken. This is better than what u get at most food courts in India, Multiplexes etc. It shows that some very good Chef has been a part of the Kitchen team at Indigo. On another day tried the chicken submarine. I did not have much expectations from this but it again turned out to b very good. Super soft, great filling. They have also started serving Hot Quaker Oats – Healthy food. It has a maggi ind of masala & tastes similar. The hostess pours hotwater & one has to eat it after letting it stand for 5 minutes – Very difficult proposition when hungry:). 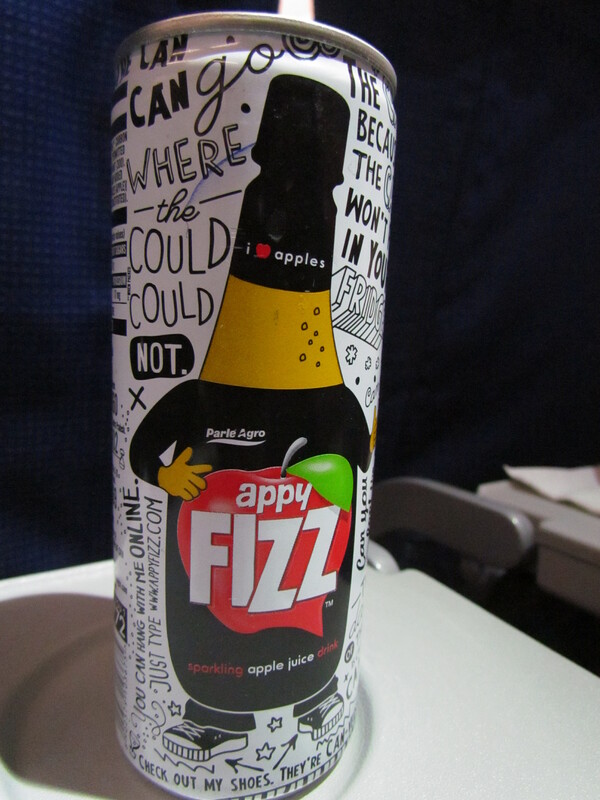 Loved the can of Appy Fizz served aboard Indigo. Loads of funny stuff with the word ‘can’ that makes u laugh. Good way to spend idle time aboard. 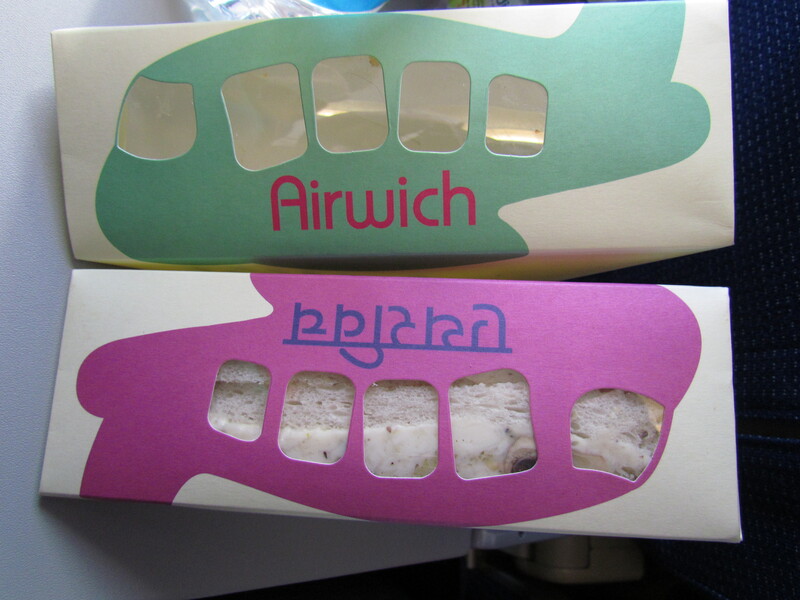 Of late tried the individual sandwiches – I used to like the Pahari Chicken & the junglee chicken. Pahari Chicken is a chicken filling with kind of grilled chicken in a green paste with brown bread. Junglee chicken had a marbled bread & a very nice filling of chicken, corainder (dhania) leaf , black pepper & a off-white creamy mayonnaise base. 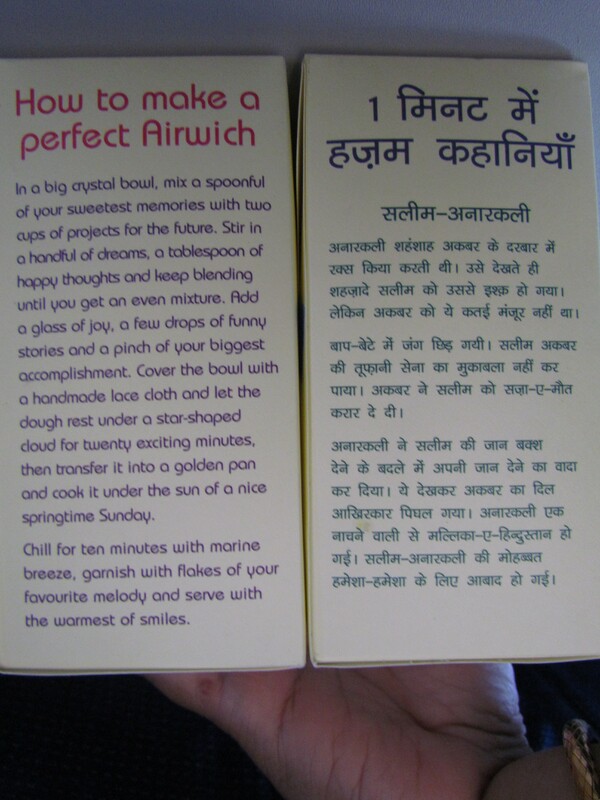 Always thought that a fusion sandwich like chicken tikka or chicken mint tikka wud b weird…..so never tried them. Last saturday something happened & I decided to go against my mental block & yo, that was really a great idea. Tried that on a later occasion again – august 2012. Tasted good but not wow. The mayo used as a dressing was a bit slimy unlike th experience above. The mint tikka was outstanding overall – as good as it can get 30000ft above the sea level. Why sea level,it is better than most such sandwiches I have had in Gurgaon / Delhi (leaving apart the 5 star bakeries). It had an extraordinarily soft multigrain bread with the obvious mint malai tikka filling. 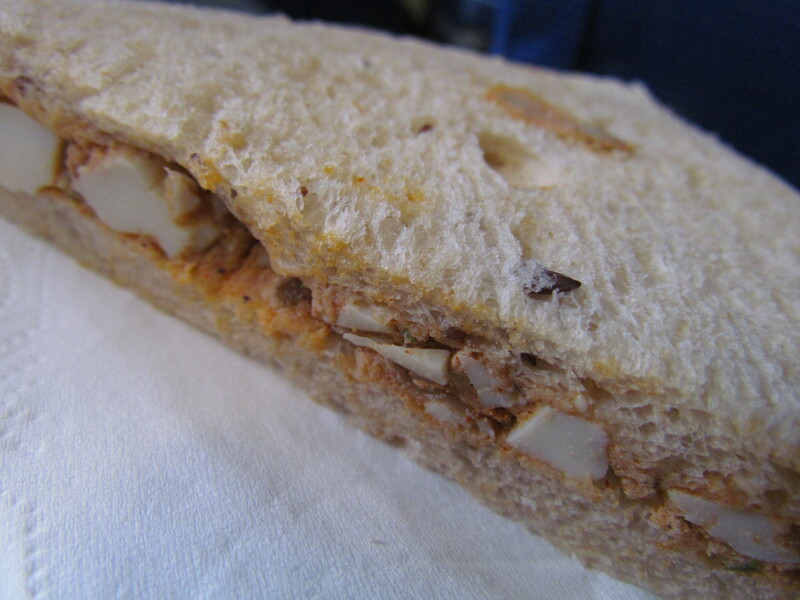 The filling was marginally oversalted but I choose to overlook that owing to the overall taste of the sandwich. My ‘erstwhile’ favourite Pahari Chicken got left behind by a wide margin as compared to the Mint tikka!!!! There is a wide range of cookies, chips & a very nice fried potato strips. We tried a mini dosa combo. The pack had 2 dosas each of 2 diff fillings. Served cold. I strongly think that u shud not even think of trying it as it is too bad. The taste of the filling is good but it is cold. 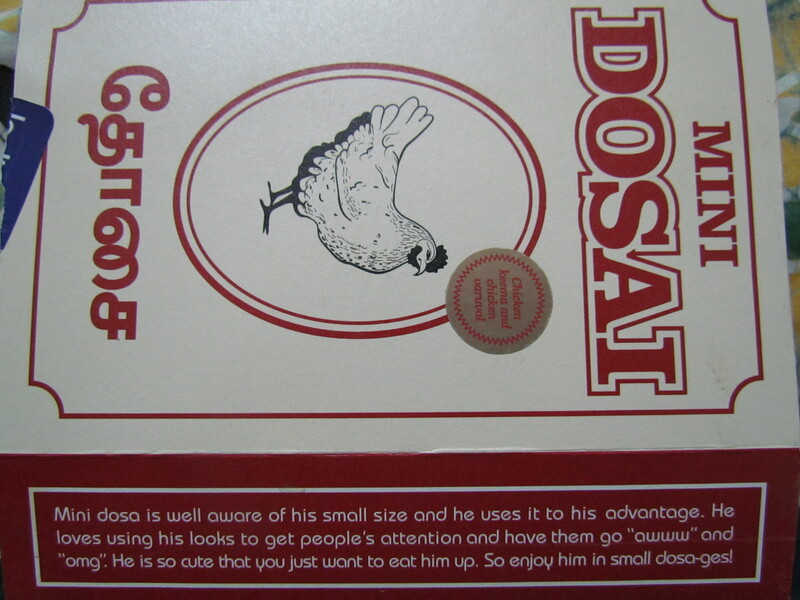 The taste of the dosa is a disaster as it got grainy, brittle & hard due to the temperature. Better avoid this till the time Indigo starts off with heating systems inflight. 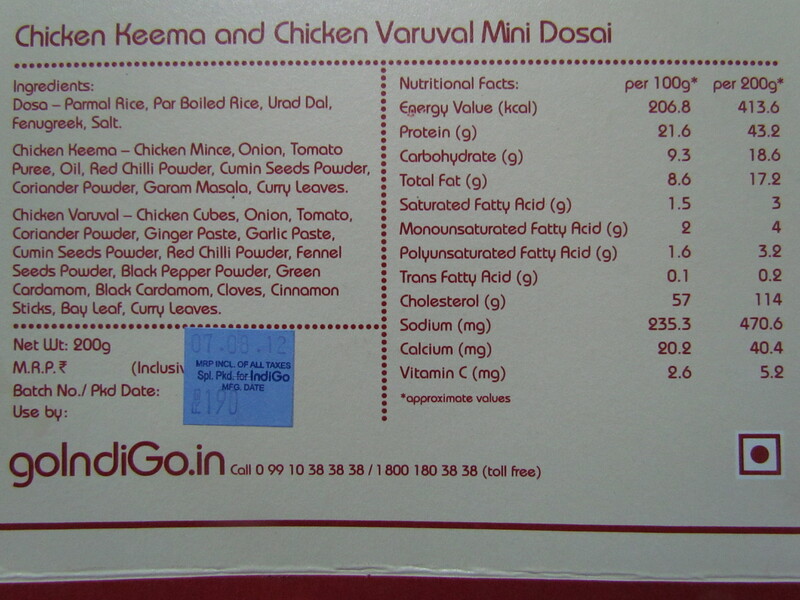 the smart dosa pack aboard indigo. For reading the footnote, just click on the pic. 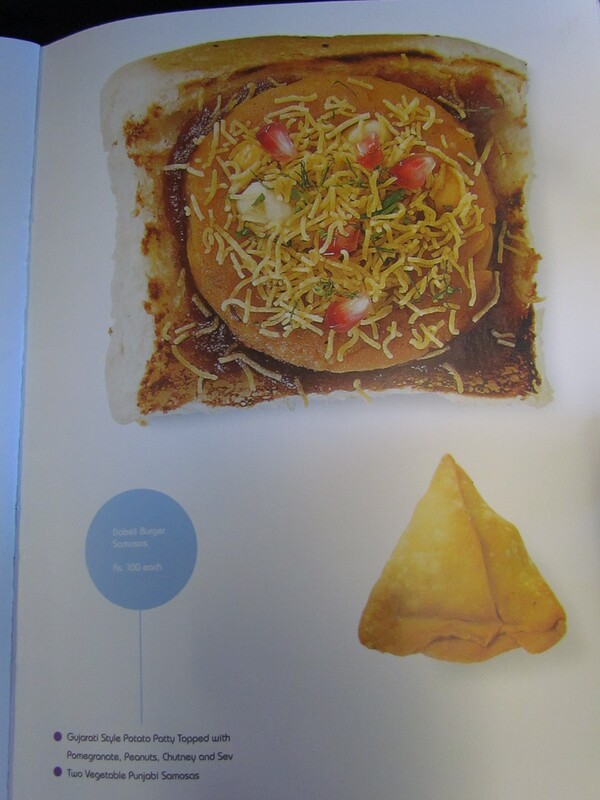 They also have interesting stuff like Gujarati style Patty potato patty topped with pomegrenade, peanuts, chutney & sev. I tried the samosa one – was cold but good. 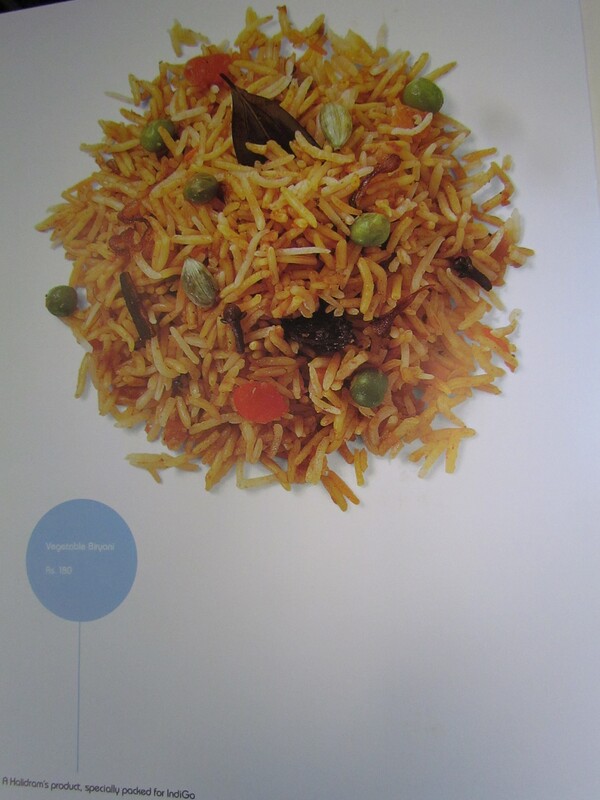 Am yet to try the cold vegetable biryani ‘packed specially for Indigo by Haldiram’s’. I absolutely love your blog! I found this post to be very insightful.